Expert-driven results. ​That's what Bruce Clay Inc. clients can expect. Don't have search engine rankings? Don’t worry, you’re not alone. If you delay search marketing, then every day you’re losing territory to competitors that you may never get back. We can help your site generate rankings and traffic — contact us now to find out how! Bruce Clay is a search marketing agency founded in 1996. We've ​given hundreds of conference presentations, written three search marketing books, and ​have offices on five continents. Years of experience means professional expertise. And that shows in our consulting, services, and advice. Search marketing is technical, detailed work, and we have what it takes to help your business succeed. When you absolutely need to get search traffic, make Bruce Clay your go-to agency. When people search for your brand or your targeted keywords in Google or through a voice search, does your website come up? Achieving visibility and rankings in search engine results is not easy. But it can be done. We’ve helped ​thousands of ​websites earn converting traffic. Bruce Clay is considered a “founding father” of search engine optimization. He has made ethical, technical SEO our specialty. We help clients from mid-level businesses to enterprise organizations meet their SEO challenges. Whether you’re struggling with a drop in search traffic, planning a complete site redesign, or need more website traffic and revenue, we can help. 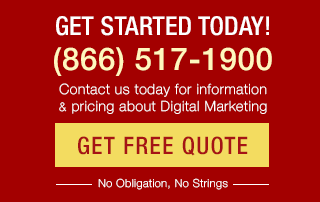 Learn more about our SEO services. While search engine optimization generates free traffic, it may take a lot of time and effort for a business to rank in organic search results. By contrast, paid ads can provide near-instantaneous results. That’s why we often pair our SEM services with SEO consulting, so that the client benefits from both short- and long-term revenue strategies. The results of a PPC campaign depend greatly on how well it is executed. Our expert SEM consultants will fully manage your complete project from keyword selection to bidding. Our frequently updated classroom course teaches our SEO methods. This course covers the latest industry best practices and search engine guidelines. Our training is offered several times a year in Southern California as 3-day Standard and optional 1.5-day Advanced courses. Classes are also available internationally through our global Bruce Clay offices. Bruce Clay SEO Training educates attendees on the latest SEO methods. 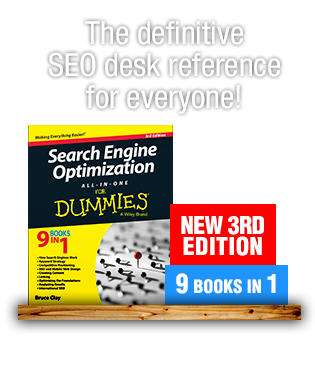 Each student receives full-color materials, a copy of Bruce Clay’s "Search Engine Optimization All-in-One for Dummies" book, and a full year’s subscription to use the SEOToolSet™. Click to see SEO Training dates and details. 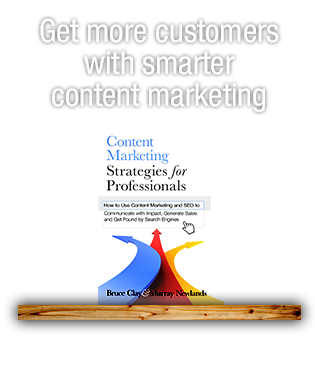 Not having enough in-depth, high-quality content has become a barrier to entry in digital marketing. In competitive niches, a website needs excellent content in order to compete. You cannot be a subject matter expert without it! Our clients often choose to have our content writers create new web pages, ad copy, or other types of written content. This is most often to supplement their SEO, SEM or social media services. Hiring Bruce Clay for copywriting services ensures that your content is optimized with SEO best practices in mind. Yet many businesses do not manage their social media opportunities. They may be left out of the online conversation about their brand. Our social media marketing services start by defining your target audience and goals. That may be to increase site traffic, generate revenue, reach a bigger audience, or a combination of goals. The effective strategy usually includes both organic social activity and social ads. Data-driven, experienced PPC experts manage your social marketing campaigns. Through benchmarks and regular reports, you’ll be able to monitor and prove that your advertising investment is paying off.